Season the beef with salt, pepper, a little garlic powder and put in a vacuum bag. Process in the water bath at 56C (133 F) for 48 hours (36 is probably fine). 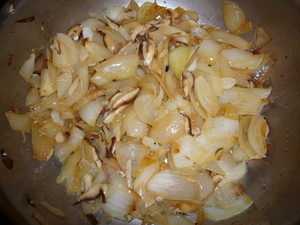 Saute the onions and garlic in the olive oil till the onions are tender. Add the mushrooms and continue till the mushrooms give up thier liquid and are tender. Deglaze the pan with the wine. 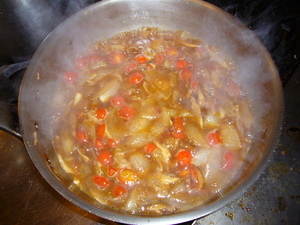 Add the tomatoes and cook for a few minutes. Add the stock and bring to a boil. Reduce until desired thickness. Adjust seasonings with salt and pepper. Add the liquids that collected in the short rib bags. Add pasta to pan and toss. 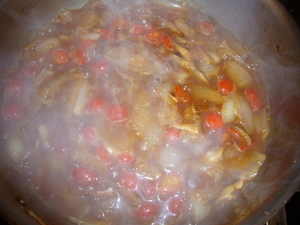 Allow to sit briefly for the pasta to soak in some of the sauce. Add some parmasean and the basil. 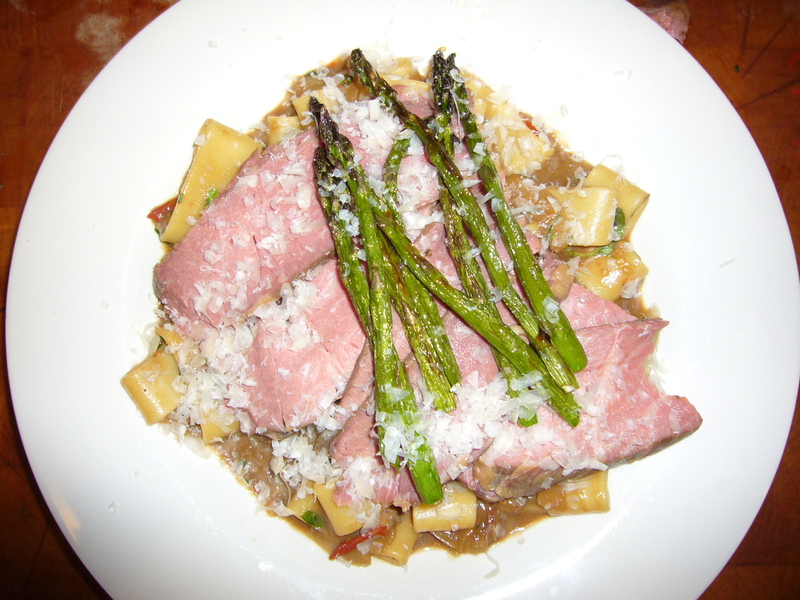 Toss and serve with the sliced short ribs over top.